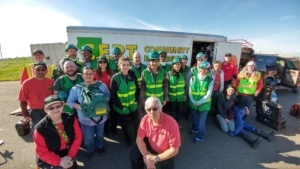 Sacramento CERT is happy to welcome Academy 2017-1 to our team! Congratulations on completion of your training and we look forward to working with you all! Thank you Austin, Colette, Derrick, Edward, Jacob, Jacquinn, Joel, Kara, Maria, Patricia, Rebecca, Shawn, Shirley, Stefany, and Victor!